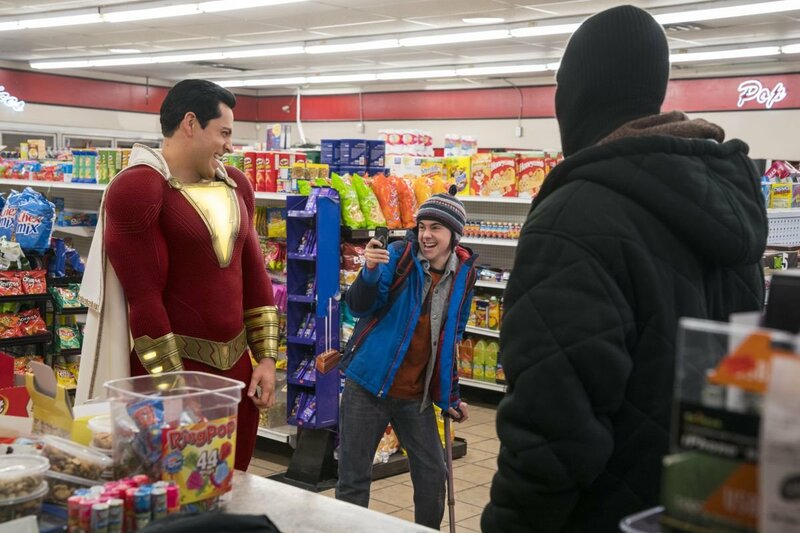 Fans who didn’t take advantage of Fandango’s preview screenings last weekend can have a little taste of Shazam! ahead of its official opening next weekend. 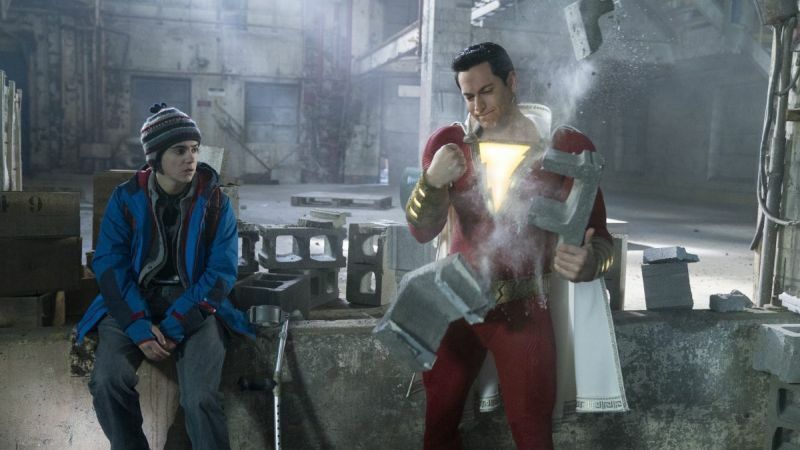 Warner Bros. has released a new batch of high-res photos including Zachary Levi as the titularh ero plus Asher Angel’s Billy Batson, Mark Strong’s Dr. Thaddeus Sivana, Jack Dylan Grazer’s Freddy Freeman, and some behind-the-scenes photos with director David F. Sandberg. Check them out in the gallery below! Shazam! soars into theaters on April 5.